Rubbing compound is a pasty liquid that acts like a very fine sandpaper. Rubbing compound can be found at most auto parts stores like Auto Zone or Checker Auto Parts and some chain stores, such as Target and Wal-Mart. It can also be ordered online, from companies who sell auto detailing products. It is relatively cheap, running about $10.50 per bottle. Rubbing compound is manufactured by a variety of companies who also make car wax and other auto detailing products. One of the better-known rubbing compound brands is manufactured by Turtle Wax. Though some companies boast that their products are better than those of competitors, rubbing compound is pretty much the same, regardless of who makes it. Choosing which brand to use is entirely up to the consumer. The most important thing to remember is to wash your car thoroughly before applying the rubbing compound. Applying it to a dirty car will result in a futile, dirty effort. The compound is typically applied in a back and forth motion, however, it can also be applied in a "swirl" motion. 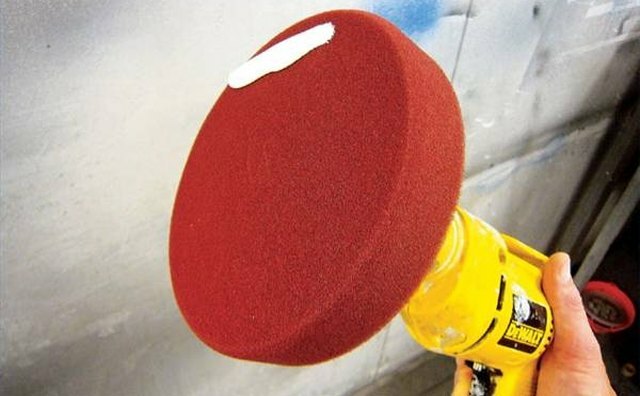 Some pressure needs to be applied to the sponge when smoothing the compound onto the vehicle's surface. Once the compound is applied, the surface will appear dull and oxidized. Applying the compound doesn't actually do anything to the surface, other than cover it. The real benefit comes once the compound is removed. Typically, the compound is removed by hand with a soft, clean cloth, or with a polishing machine. Either way, the compound must be completely wiped off of the vehicle's surface. When it is removed, the surface will appear shiny and slick. Rubbing compound works like a very fine sandpaper, by gently smoothing the vehicle's paint by "sanding" scratches out of it. 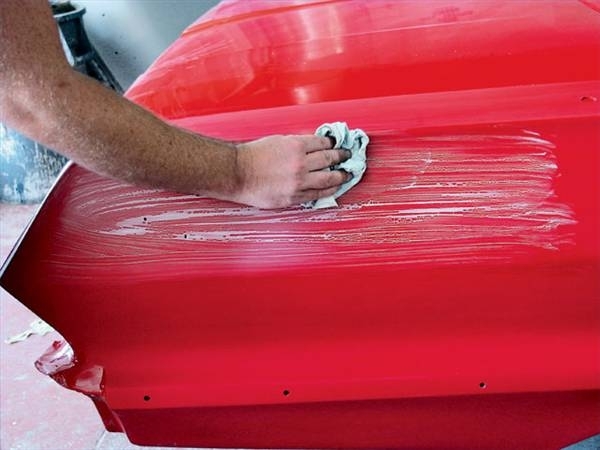 When the compound is rubbed in, it smoothes the edges of the scratches and evens out the surface of the paint. 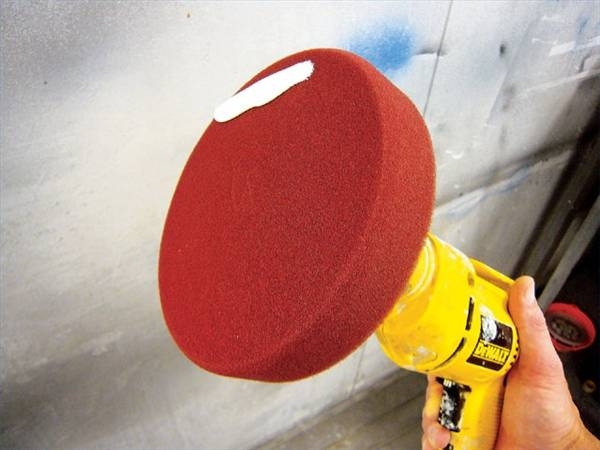 This, in turn, removes marks and minor scratches from the paint's surface. Once filled, the scratches appear smooth and are no longer visible. 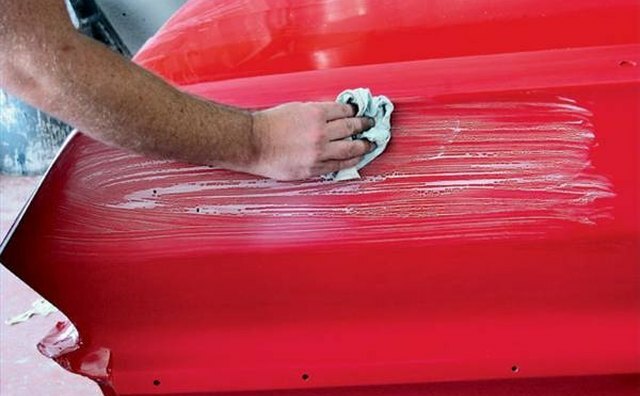 When coupled with a colored wax that matches the vehicle's paint, rubbing compound can almost completely eliminate surface scratches and can make deeper scratches to the paint less visible. However, one setback of applying rubbing compound is that when it is removed, it often produces swirl marks on the vehicle's surface. There are products made specifically to remove these marks. Swirl remover liquid can take care of the problem that rubbing compound often leaves behind. Swirl marks are most prominent of vehicles that are have a dark-colored paint job.